The Well-Read Redhead: The Well-Read Runner: BIG news...65.5 miles of it! 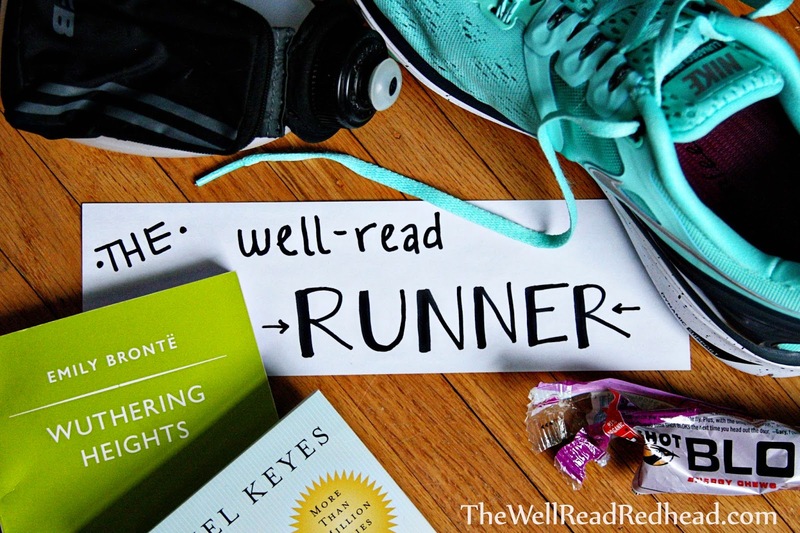 The Well-Read Runner: BIG news...65.5 miles of it! Remember a few weeks back, when I mentioned that one of my goals for 2016 is to complete Rochester's 4 Seasons Challenge (4 half marathons during the year, 1 in each season)? My husband told me well before my birthday (September 24, in case you forgot!) that he was going to give me the entry fee for the 4 Seasons Challenge. All I had to do was tell him where to make the purchase. However, our local Fleet Feet (the owners of which also own the local race timing company) said that they were not opening registration for 2016 yet, because they had "new details" to iron out. Oooooh, mysterious! So my birthday came and went last week, with no news of 4SC. The anticipation was killing me! I just wanted to register already!! Then, the news struck. On September 30, Fleet Feet announced that the 2016 challenge will have two options: you can either do the 4 half marathons, OR you can do the first 3 half marathons, and then do the full Rochester marathon in September (instead of the Rochester half, which runs at the same time). Registration was set to open the next day, October 1. What's the difference between the two options? Other than an extra 13.1 miles, not much. You still get all the same 4SC swag, and the same giant medal at the end of all 4 races (at each race, you get the finisher medal but then also 1/4 of a GIANT 4SC medal, the 4 pieces come together once you have all of them). The same feeling of SUPREME AWESOMENESS when you finish all 4. But I just.couldn't.resist. the challenge. So I woke up October 1 and signed up...for the marathon option. I AM RUNNING A MARATHON NEXT YEAR! MY VERY FIRST ONE!!! I am SO EXCITED and also completely FREAKING OUT! Many thanks go out to my husband in advance, as we did chat about this before I signed up, and he has expressed his full support for this endeavor...something I will certainly need as the mileage builds up next summer. My husband and my kiddos are my biggest cheerleaders, and I definitely could not do this without them! Anyone else committed to a big race for 2016? Something you've never tried before? That's awesome!!! And I'm sure you'll do great! Interesting to hear that the second half marathon is much easier than the first...I said I'd never do another one after my first and promptly switched over to triathlons. Ha! I did my first Sprint last summer and a Super Sprint last weekend...and I will do another Sprint next summer. It sounds like tris might just be a better fit for you! My first half was so disappointing, I just KNEW I could do better. The second one was still hard, but I was able to train so much smarter, and I put less pressure on myself, so overall it was a MUCH better experience. That's great! Something to look forward to, for sure! I'm running marathon #4 (and bucket list item) Big Sur in January. This will most likely be my last marathon, so what a great way to end, right? I am SO jealous of Big Sur! What an amazing experience that will be!! Go you! That'll be a good way to finish the challenge, too. When I first read the post title, I thought you were signing up for an ultra-marathon. Glad to hear those 65.5 miles aren't all at once! Good luck! Not ready for that...yet...give me a few years...haha! October Minis: Dracula, Meg Wolitzer, & more! Let's talk about BANNED picture books!